The rise in popularity of wearables is presenting a new form of distraction for drivers on the roads. While it has been widely accepted that it is dangerous to drive while using a mobile device and, in many places, it has also been deemed illegal, the rising popularity of wearable technology has opened up an entirely new category of tech that does not quite fall into the same category as smartphones. That said, a safety watchdog considers wearables to be just as dangerous behind the wheel. That watchdog is now working to have the use of wearable technology by drivers banned while their vehicles are operational on New Zealand roads. The idea is that these gadgets are just as dangerous as smartphones in terms of the distraction that they create for drivers, so the hope is that they will be able to add smartwatches and other types of similar devices to the list of gadgets that drivers are not allowed to use while the keys are in the ignition. The goal is to ban the use of wearable technology behind the wheel early, before it causes collisions. Currently, the law in New Zealand states that drivers are not permitted to use their cell phones while they are driving. 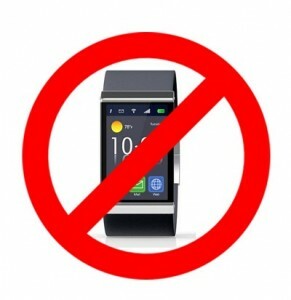 However, the language of the law does not extend to wearables such as smartwatches like the Apple Watch. This is exactly the issue that Perry and her organization – as well as other safety advocates – are hoping to be able to change. Since wearable technology is a relatively new category and the number of people who actually own smartwatches, so far, remains pretty small, road safety laws have not yet caught up to the types of products that are available to consumers. Safety advocates, however, are acting as quickly as they can so that they can help to encourage the laws to change in time to prevent many of the potential accidents that would otherwise happen.